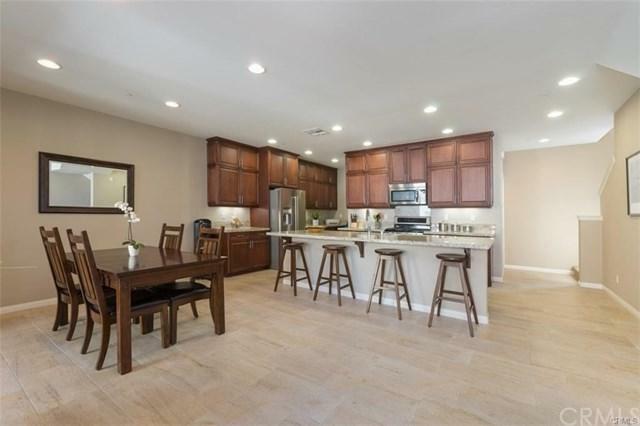 ***FOR RENT*** One of the largest 2 bedroom plus 2.5 bathroom townhomes with 1778 square feet of living space at one of the lowest price per square foot in Irvine! Open floor plan with attached 2-car tandem garage in Portola Springs. Enjoy the best that Portola Springs has to offer with resort-like community amenities including 8 pools, 14 parks, tennis courts, sport courts, hiking, biking trails, and schools with top ratings of 10! This expansive home with 1778 square feet of living space includes two oversized patios with views of the Loma Ridge Mountains. The main floor contains the open living and dining rooms, a half bath, and the chef's kitchen which features dark cherry cabinetry, granite counters, office nook, walk-in pantry, and an oversized center island. Upstairs are two oversized bedrooms, a separate laundry room, and two full bathrooms. The master suite features a large walk-in closet, master bath with dual vanities, and opens to a large balcony with mountain views! There is a pool, spa, and play area within steps of the front door!